I have long been aware of John and Hank Green for their youtube channel and online presence, but I’m ashamed to admit that I had never picked up one of John’s book. I decided the remedy this problem by reading his brother, Hank’s book, An Absolutely Remarkable Thing instead. (Sorry John, I’m sure your books are incredible, basically everyone I know loves them… but this one has a GIANT MYSTERIOUS SCULPTURE that looks like a Transformer wearing a suit of samurai armour). I was not disappointed. The book is brilliant – funny, hopeful and clever. The story has some great twists and turns, and it’s written so well that you’re never lost or confused. 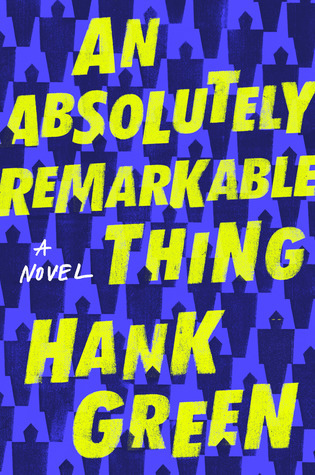 The protagonist, April May, is sometimes unlikeable, but always completely human and understandable, and the book does a brilliant job of highlighting the realities of viral fame – both the upsides and the, sometime huge, downsides. Oh, and it’s also TONS of fun! I highly recommend. I was desperate to get my hands on this book after reading the first in the series, Nyxia, which ends on a pretty amazing cliff-hanger. 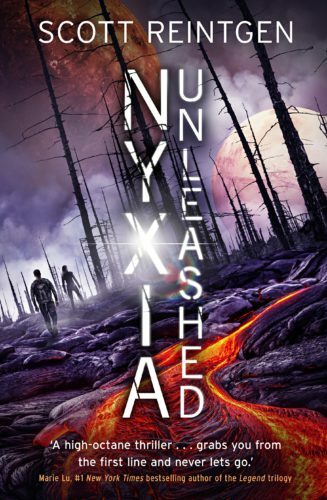 It follows a group of teenagers who have travelling to a distant planet to hunt for Nyxia, an extraordinary magical substance that they can manipulate. There’s some great world building in this sequel and we learn more about the aliens, the Adamites/ and their motives. One of my favourite things about this series is that Scott Reintgen has created an incredible cast of BAME characters. His writing is gripping and will ensure you keep turning those pages, along with twists and turns you won’t see coming. 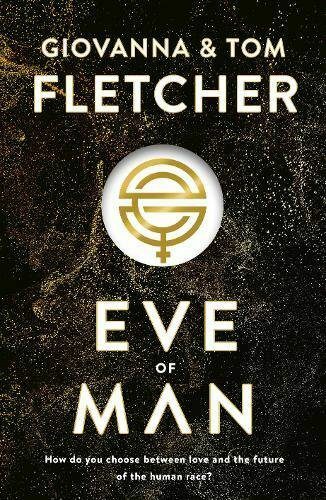 Last year I was really excited to hear that Giovanna and Tom Fletcher were co-writing their first young adult dystopian novel called Eve of Man. The idea came from when Giovanna discovered that all the mothers in her NCT class had had boys, and the idea was born of a world where no girls have been born for 50 years. You can watch a cool book trailer here. I thought this was such an interesting concept for the book and loved the idea of Giovanna writing Eve’s part and Tom writing Bram’s. It was a really well joined up book (you couldn’t tell that two peolple had written it), and I loved following the relationship of Eve and Bram (I was hooked from first kiss). I also thought the use of Holly the hologram was really clever. A great, fast-paced story that will leave you hankering for the next book in the series. In a world where women have no rights, sisters Serina and Nomi face two very different fates: one in the palace, the other on an island prison where women must fight to survive. Serina has spent her whole life preparing to become a Grace – selected to stand by the heir to the throne as a shining example of the perfect woman. But her headstrong and rebellious younger sister has a dangerous secret, and one wrong move could cost both sisters everything. 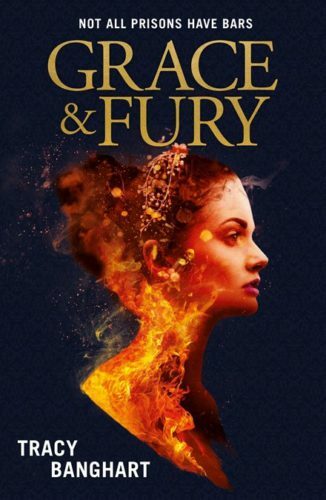 Grace and Fury is fast-paced, great dystopian drama with some fantastic characters and a heap of girl power. 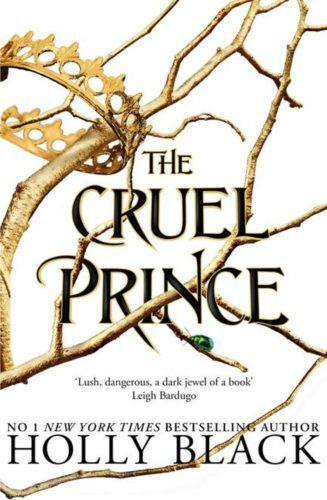 As anyone who has read and loved The Cruel Prince this year will know, it’s an easy book to become obsessed with. I love reading about Faeries – the darker and nastier the better – and was hooked on this story from the first bloody chapter. 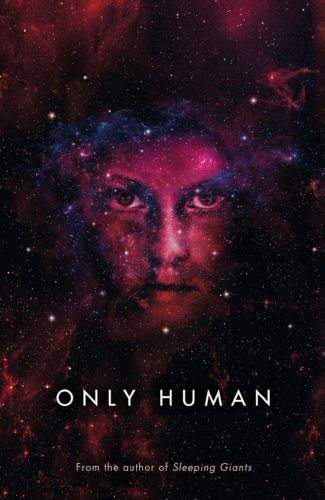 I cannot say enough great things: the writing is lush, the plot gasp-inducingly twisty and set in a vicious spiderweb of a High Court which Jude and her twin sister Taryn must navigate as the only two humans among Faerie nobility. Jude is not always likeable, but she is smart, compelling and determined – not just to survive the increasingly treacherous Court, but to rise to power within it. Cardan (The Cruel Prince himself) is completely objectionable, and so naturally I find him deeply attractive. Ultimately, The Cruel Prince takes the prize for producing some of my strongest reactions out of all the books I read this year, giving me the kind of hate/attraction ship I will ALWAYS board with enthusiasm, and leaving me positively dying for the next book. In fact, the only thing I didn’t love about it was how quickly it was over. I need The Wicked King now. Read it, read it, read it! Honestly, I had a really hard time choosing between these two for best cover and best book. 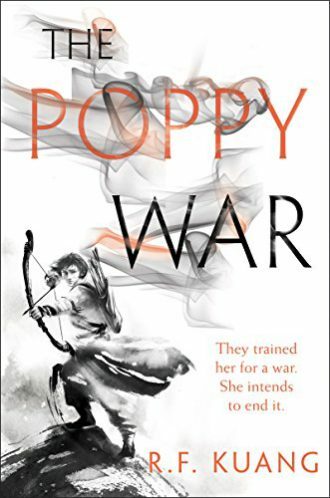 I ended up choosing the Poppy War for best cover simply because it took me SO long to read it (working in publishing really cuts into your reading for pleasure time guys), but I’ve loved the cover since I first laid eyes on it. I love the slightly muted colours, I love the sense of movement, I love the girl in the awesome action shot, and love that she has short hair (maybe I’m biased, but honestly, it feels SO RARE). I’ve been obsessed with Alwyn Hamilton’s trilogy since I got my hands on the first book in the series, The Rebel of the Sands. You’ll quickly admire the brash and fierce gun-slinging heroine, Amani, and I especially enjoyed how the Djinni magic was described. Complete with a diverse set of characters (including someone who is gender-fluid), Alwyn creates an incredibly immersive world, packed with shooting contests, train robberies, magical beasts that hide in the dark, an uprising led by a rebel price, powerful magic and an electrifying love story. 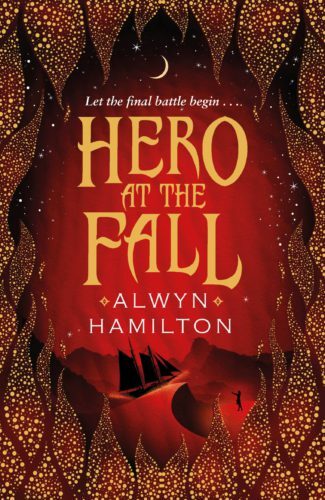 Hero at the Fallis the breath-taking finale to the series, and it has a gloriously stunning cover to match it. I’ve chosen this as my favourite cover of the year because I just love the bright colour and the beautiful gold foil, plus the elegant silhouette of the ship and female in the sand, which gives a hint of what’s to come. One of my favourite covers of the year has to be the gripping, edge-of-your-seat finale to the THEMIS FILES trilogy by the author of Waking Gods and Sleeping Giants, Sylvain Neuvel. Not only is it a beautiful and arresting cover, but you might also have noticed that the publishers have left the author’s name off the cover which creates a unique and uber cool effect. Look at this cover. Just LOOK AT IT. 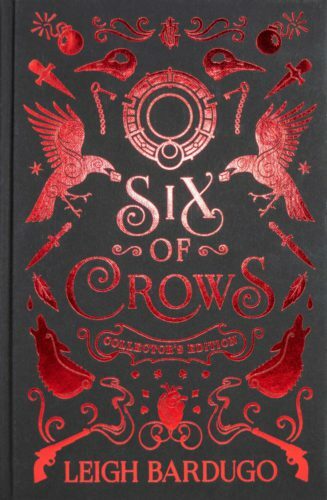 The Collector’s Edition of Leigh Bardugo’s fantasy heist Six of Crows is one of the most impressive jackets we spotted in 2018. We especially love the gorgeous red sprayed edges and all the clues to the story and characters inside – from the Ice Court of Djerholm to the weapons used by various members of the Dregs. One to cherish! Spinning Silver almost ties with The Cruel Prince for my favourite book of the year. Naomi Novik is one of my very favourite authors and the undisputed queen of taking well-worn folklore and fairy tales and turning them into something completely original and enchanting. 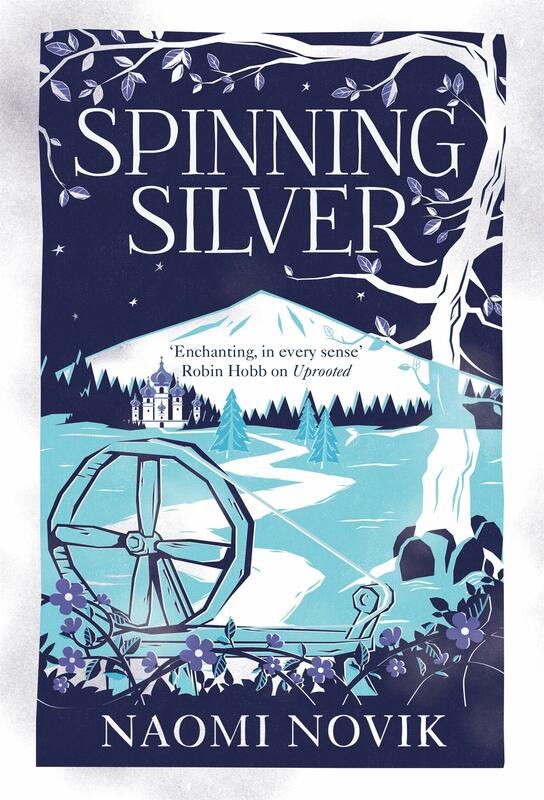 Having absolutely adored her earlier Uprooted, inspired by Polish folklore, I dropped everything as soon as I got my hands on Spinning Silver and completely devoured it. 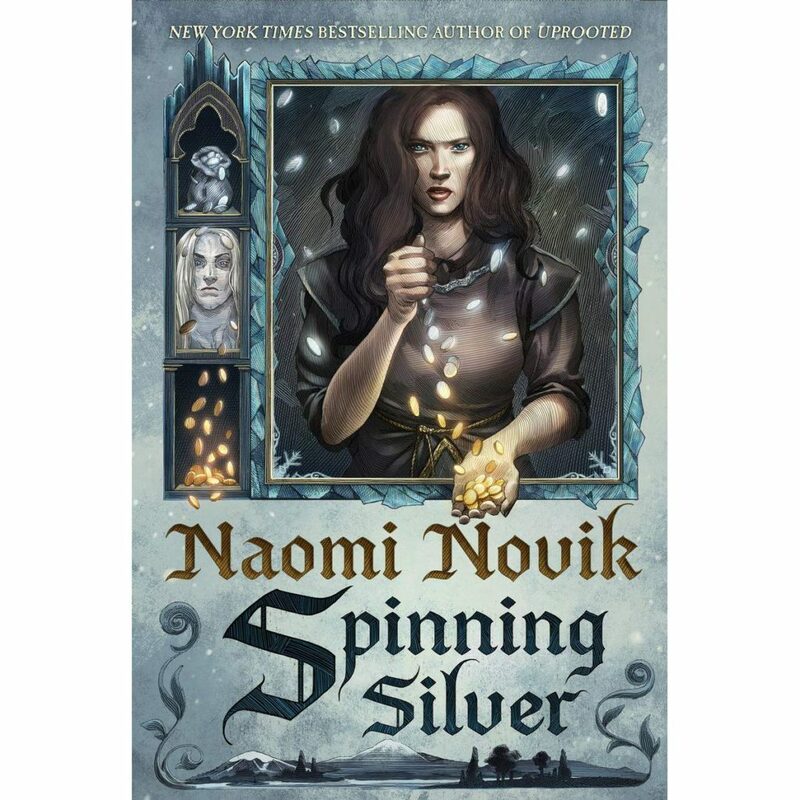 Inspired by the story of Rumpelstiltskin and Novik’s own Lithuanian Jewish heritage, it’s a terrific adventure with three strong, clever and complex women whose lives interweave against a backdrop of a haunted woodland, perilous court and a glittering road to another realm. The UK cover is as pretty and fantastical as Naomi Novik’s writing, while the US cover is darker and offers clues as to the story within. Both are beautiful and my favourite covers of 2018. What were your favourite covers this year? Tell us below in the comments.